New! LiteWave H3™ sight combines Tritium with the HIVIZ Litepipe technology for 24 illumination. 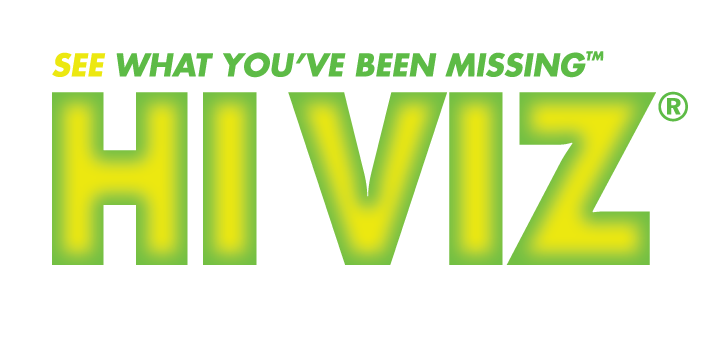 Now you can have the advantage of day and night performance all in one sight system. 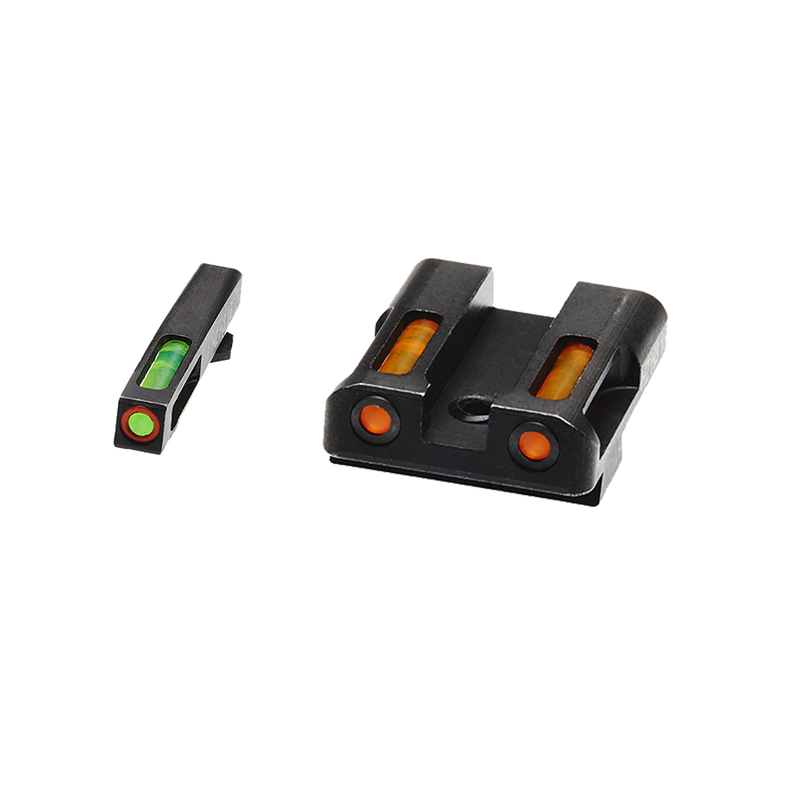 All steel construction sight sets are rugged and durable, designed for the roughest use, whether it is personal defense and protection, Law Enforcement or Military. 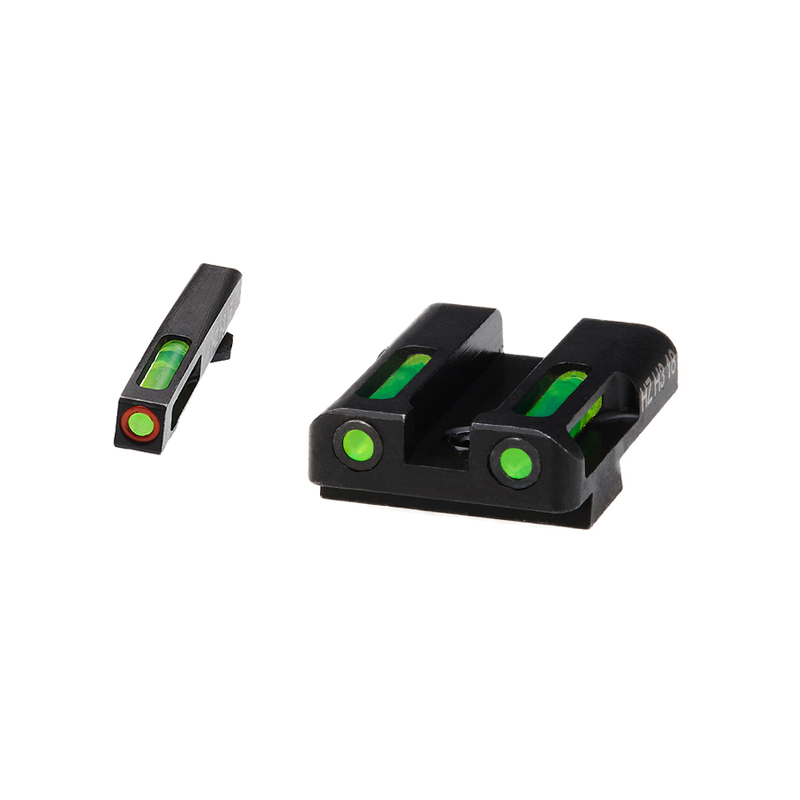 The new LiteWave H3™ ensures fast sight acquisition and a bright sight picture day or night. GLN325,425,525,625 Fits: all generation Glock models chambered in 9mm, 40 S&W and .357 Sig. ; does not fit models 42 and 43. HIVIZ® Tritium sights are covered for a period of 12 years according to the date stamp on the product against tritium failure resulting in total loss of illumination due to defects in the workmanship or material during normal use. The original owner is entitled replacement of the entire sight pending inspection for misuse. This warranty does not cover failure due to damage that is the result of abuse, or accidental or improper use and or damage resulting from improper installation methods. Important Notice: This product contains tritium gas “H3” and is regulated by the US NRC. The Purchaser is exempt from any regulatory requirements. Do not attempt to disassemble the sight.